BERLIN (Reuters) - The DIW economic institute has slashed its growth forecast for Germany due to an unexpectedly weak start to 2018 and risks from abroad including concerns about Italy's new government and the escalating trade conflict with the United States. Italy's coalition government comprises anti-establishment parties with a brief to shake up EU institutions while U.S. President Donald Trump has threatened allies with hefty tariffs on car imports in addition to unilaterally imposed metal duties. 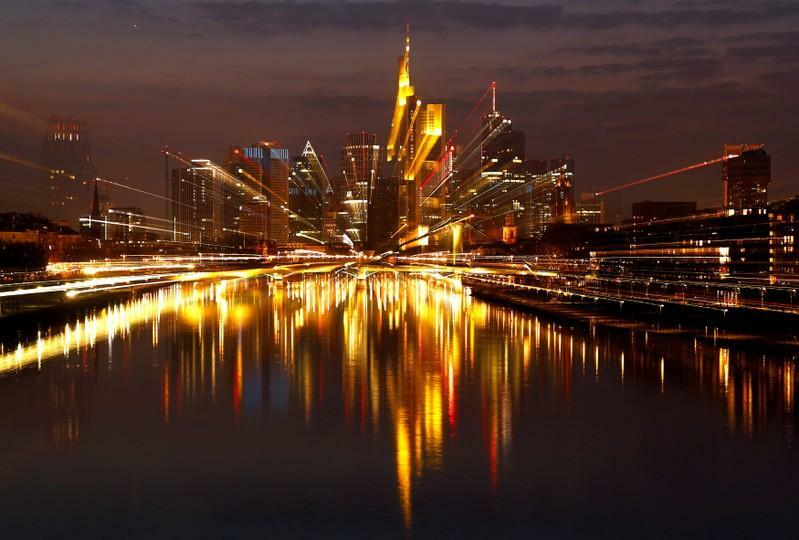 The Berlin-based DIW think-tank said it cut its gross domestic product growth forecast for Europe's largest economy by 0.5 percentage points to 1.9 percent this year, and by 0.2 percentage points to 1.7 percent in 2019. "Uncertainty arises mainly from growing concerns about some European countries, mainly Italy, and the possibility of an escalating trade conflict between the United States and the rest of the world," DIW said. The uncertain business outlook is causing companies worldwide to scale back investments and this is putting the brakes on German export growth, DIW added. Economy Minister Peter Altmaier said he was sticking to government growth forecasts of 2.3 percent for this year and 2.1 percent for 2019, despite Europe's failure so far to halt a spiral of tariffs sparked by Trump's "America First" policies. "There is no automatism that the German upswing will end this year, next year or the following year... I don't see any sign of economic crisis on the horizon," Altmaier added. DIW head Marcel Fratzscher said the situation in Italy was causing fears of a resurgence of the euro zone debt crisis. "It's a wake-up call for politicians in Europe, especially for the German government, to finally lean into the reform debate for a more crisis-prone Europe. "The proposals and options are on the table, now it's time for action. European nations have to put up a united front, also against Trump and his protectionism," Fratzscher said. France and Germany, the euro zone's two biggest economies, want to agree a roadmap for European Union reforms by June 19 in order to present later to EU leaders at the June 27-28 summit. French President Emmanuel Macron wants a fund set up that would help countries facing an economic shock and smooth out divergences among members' economies. But German Chancellor Angela Merkel has been reluctant to commit to anything that could see the transfer of taxpayer funds to other countries, including in the form of a deposit insurance scheme for banks. The Economy Ministry said in its monthly report on Wednesday that Germany's economic upswing was losing some momentum, with the growth outlook clouded by the festering trade dispute and risks linked to Italy's new coalition government. "This is expressing itself in the real economy through a wait-and-see approach, especially when it comes to investments," the ministry added. The economic upswing is nevertheless set to continue because private consumption remains bullish and exports are still robust due to Germany's highly diversified portfolio of manufacturing products and export markets, the ministry added. If the trade conflict between the United States and other countries intensifies, it could negatively impact the global economy and there are indications this is already happening, the head of the World Trade Organization said in an interview. Asked if there was a risk for the global economy, WTO Director-General Roberto Azevedo told German business daily Handelsblatt: "Absolutely. If the trade dispute escalates, there's the risk of a global downturn and we're already seeing signs that this downward process has already started." Azevedo added it was crucial to maintain dialogue to avoid an escalation. Following the G7 summit in Canada over the weekend, International Monetary Fund chief Christine Lagarde on Monday led an attack by global economic organisations on Trump's "America First" trade policy, warning that clouds over the global economy "are getting darker by the day".